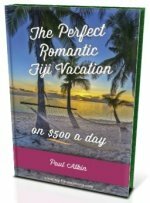 Want to visit Levuka Fiji? Explore this charming old capital where modern Fiji first started. Discover how to get there, where to stay, and what to do. Levuka has such a rich and colourful history, it deserves it's own section. This is where modern Fiji was established. attracted all sorts of unsavoury characters from con-men to free-loaders to crooks. By the 1870's it was in the midst of a short boom having a population of 3000 and 52 hotels to service them. 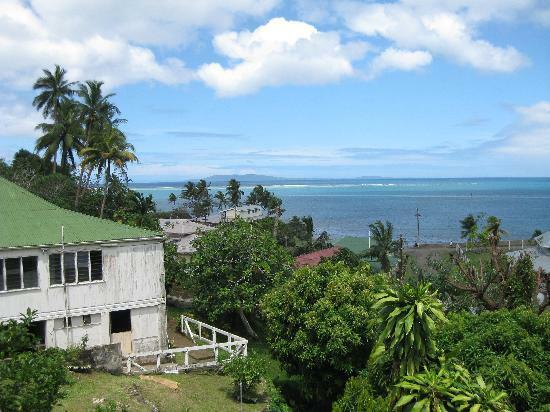 In 1874, Fiji was ceded by Chief Cakobau to the British Empire with Levuka being the capital. as it is today. By the end of the 19th century, trade was moving there too. Today there are remains scattered around Levuka of it's historical past. It currently has a population of around 3,000. 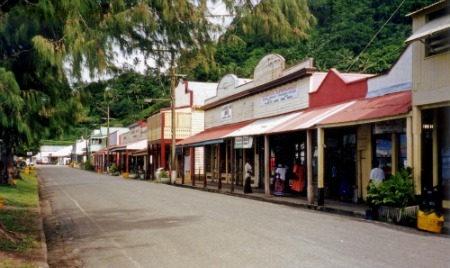 There is one main street in Levuka, Beach St. It runs parallel to the water and this is where you'll find almost everything you need. Just follow your nose. Tourist Information Centre ph: 330 0356. Mon-Fri (until 4:30) & Sat.morn. Olavau Club (the drinking spot) - Nasu Park, Hennings St off Beach St.
Air - a 12-minute flight from Suva with Northern Air. Operates daily. Sea - a 4.5-hour ferry from Suva with Patterson Brothers Shipping. Operates daily. Do this if you have ample time up your sleeve and if you want to take the 'scenic' route. Visit our Transport in Fiji section for contact details. Both Bureta Airfield and Buresala Landing are on the west side of the island with Levuka on the east. They're serviced by local buses (FJ$5) which takes about 40 minutes, and taxis ($30). 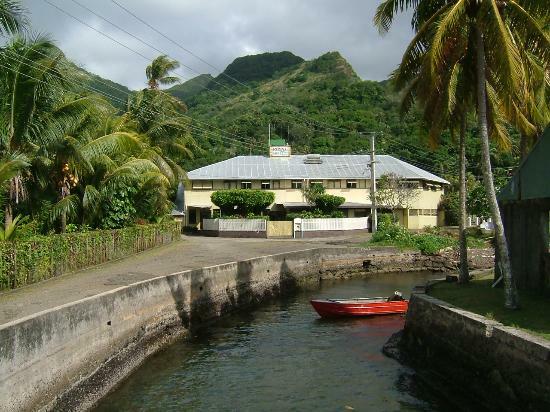 Cruise - there is also a cruise that stops in Levuka. Available with Captain Cook Cruises. 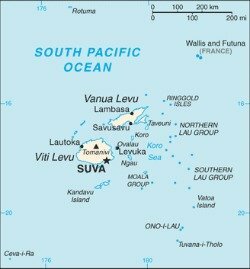 Levuka is small enough to go around by foot. Taxis are available. We suggest clicking on the 'View Larger Map' here, or directly below the map for the preferred full-screen viewing. You can do all the sightseeing on foot in one day. 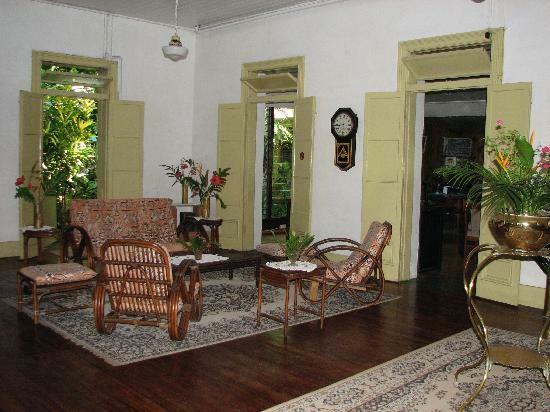 Levuka is rich in history with historical sites and remains all around. Many are dated back to the 1850/60/70's including shops, churches, homes, and the Royal Hotel. Poke your nose into the tourist information centre. It's a good starting point offering tours and has an information board with eating and lodging recommendations. Gun Rock - a great view of Levuka, also you can find 'cannonball scars' of where the peak was pounded by American ships in 1849 and 1874. There are two recommended places to stay. Both are labelled on the map above. 1. 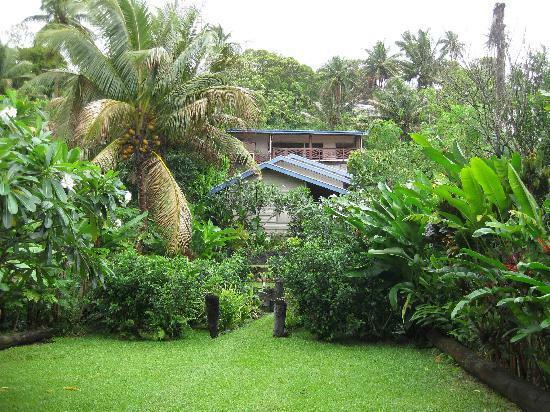 Levuka Homestay - Levuka Homestay constantly receives rave reviews. It has 4 large comfortable spacious rooms each with it's own terrace having views of the harbour. You will quickly become friends with John and Marilyn, the laid-back hospitable owners. 2. Royal Hotel - Dating back to the 1860's, it's the oldest hotel in Fiji. Although it had to be rebuilt in the early 1900's due to a fire. There's character throughout the building with black & white photographs in the hallways, wooden floorboards and shutters, classic old furniture, white cane staircases and more.